Citigroup the US third-biggest U.S. bank, to cut over 11,000 jobs to reduce expenses and improve efficiency.. It will incur a pretax of 1.1 billion this quarter and save 900 million next year in 2013. Citi shares were up 3.87% to $35.62 a share after the announcement. 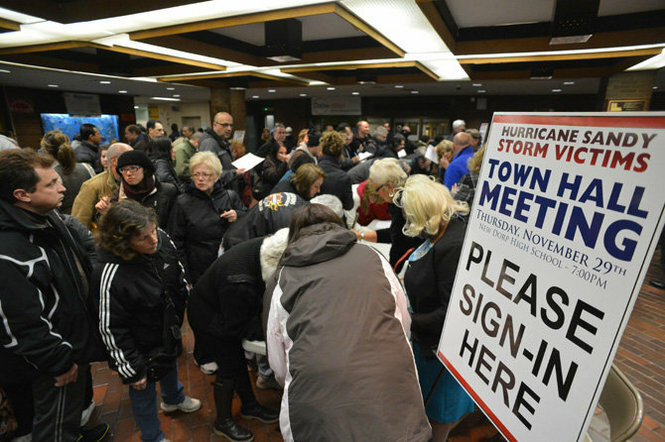 Staten Island Sandy victims pack New York City Town Hall, November 29, 2012. More than 1,000 people went to New Dorp High School to ask FEMA and other agencies what to do about their damaged homes and neighborhoods. People were turned away at door and could not fit into auditorium. Watch this Video, an Eye Opener! Obama did not cut the Red Tape. President Obama, What is Your Plan? We’ve had divided government since January 2011, and thus far it has produced legislative stalemates and bitter recriminations. Why should we expect things to be any different this time around? It’s easy for the president to talk about the need for a “balanced approach.” But a truly balanced approach would have to include major spending cuts and entitlement reforms. There’s nothing balanced about continuing to spend money we don’t have and piling up trillions of dollars in new debt. If the president is going to claim a mandate for governing, then he has a responsibility to offer a genuine solution to America’s fiscal challenges. 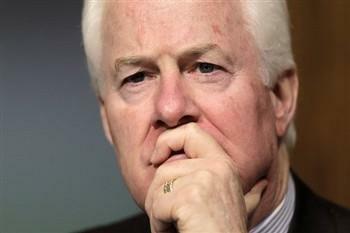 Until he offers such a plan, his posturing over the deficit should not be taken seriously. “The Hope And The Change” TV ad from Citizens United Productions. Joining the last-days ad-buying ahead of the election, buying a short $120,000 flight to promote the anti-President Obama movie. Obama Supporters: Vandals and Thieves The Schilling Show video produced with the assistance of Randolph Byrd and Steve Peters. 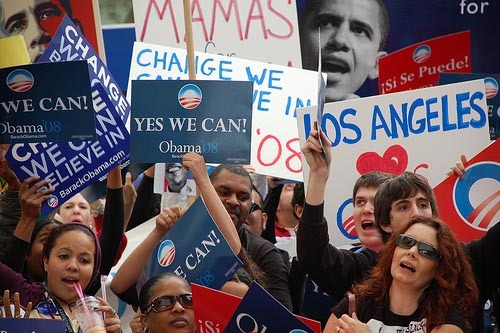 Watch Obama supporters “gone wild” with attempts to silence speech; to steal, vandalize, deface and destroy conservative political signs; and to intimidate through violent, aggressive behavior. The party of bumper sticker “tolerance” and “co-exist” mantras, reveals its true nature in this shocking expose.